A Kiss For The Petals – The New Generation! 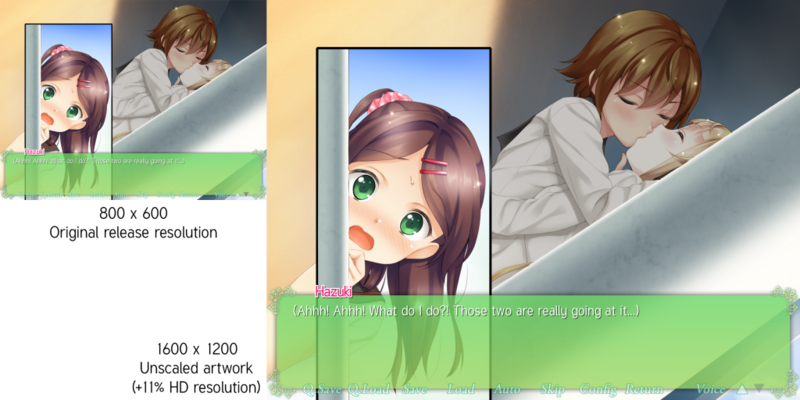 is now available from MangaGamer for Windows, macOS, and Linux. The price is $34.95 USD. A demo version is also available at the official website. 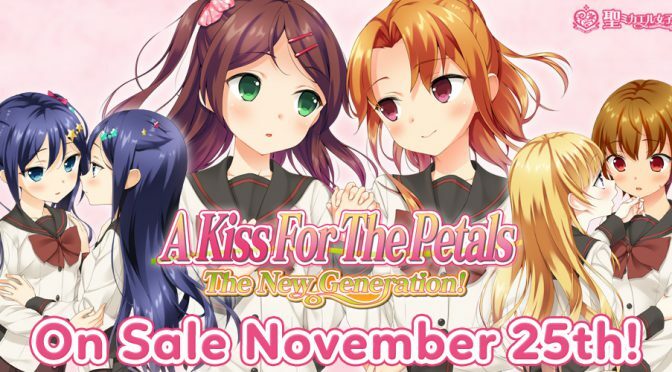 Contrary to the original 2015 version and promotional screenshots prior to today, the version by MangaGamer is presented at a resolution of 1600 x 1200, four times the 800 x 600 resolution of past A Kiss For The Petals visual novels. The difference in resolution can be seen below. Click on the image to enlarge. These can be configured in the Config menu. Additionally, a countdown voice video has been released in commemoration of the launch and the day after launch. I purchased the game and really like the OP for the game. Does the song come on a CD that can be purchased from somewhere? A single was released on 14 August 2015 that includes the opening and ending themes and instrumental versions of both, but there are currently no stores that ship internationally that carry it.